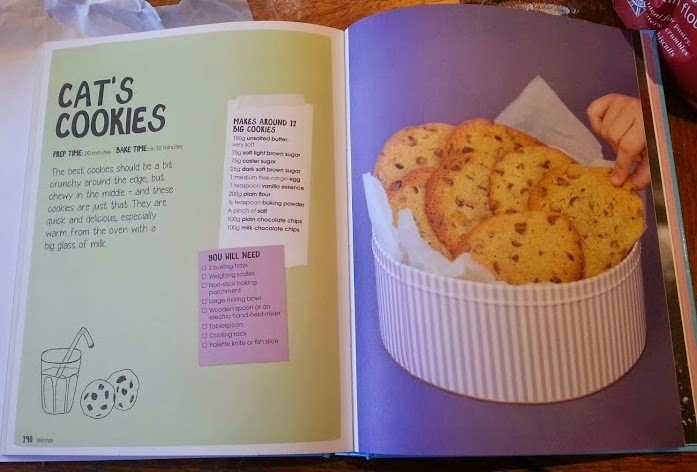 Let's Bake is a lovely fat cookbook written by Cathryn Dresser, the 2012 Great British Bake Off contestant. Aimed at new young bakers to work with an adult, or in our case a teenager, it has 52 easy and interesting recipes and is full of hints about how to do the basics, and tips to improve your baking. 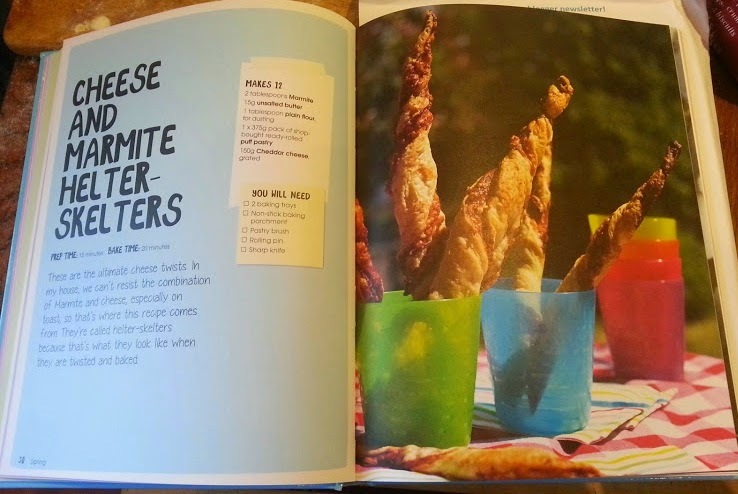 We decided to make something savoury and something sweet, and we started out with Cheese And Marmite Helter-Skelters (page30) from the Spring section of the book. My small boys don't like the taste or smell of Marmite and refused point blank to include it. I didn't want to just make Cheese, so we substituted our Marmite with tomato puree. With an adult, melt the Marmite and butter in a small saucepan over a low heat until runny. Leave to cool for a minute or two. Meanwhile, lightly dust your surface with flour and lay out the pastry sheet. Using a pastry brush, spread the butter mixture all over the pastry, then sprinkle cheese over the top 2/3. Fold the non-cheesy bit of the pastry up so that it covers 1/2 the cheesy section, then fold the last 1/3 over the top so you have a neatly-folded rectangle of pastry. Roll out the pastry again so that you have a rectangle roughly the same size you started with. Cut the pastry into 6 equal strips and then cut each of those in half, so you have 12 long, pointy triangles. Take each of the triangles in turn and twist from the pointy end. 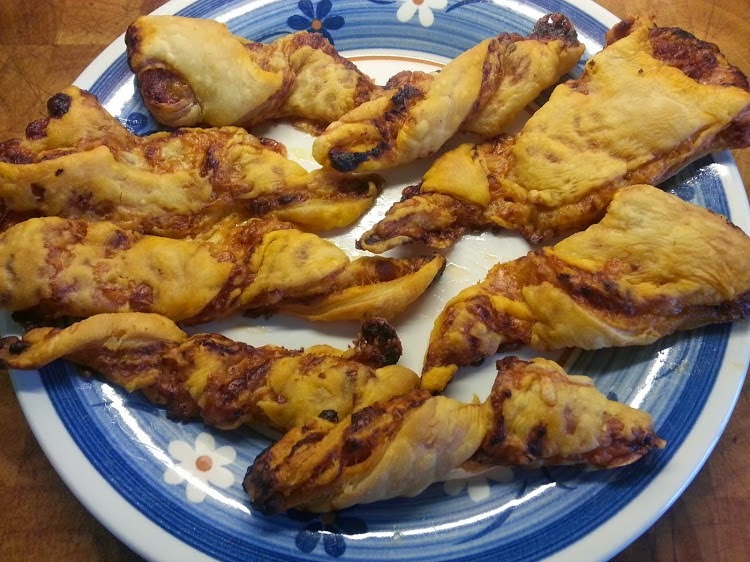 Put your twisted pastry on the prepared baking tray and ask an adult to put it in the oven. Bake for 20 minutes until golden. They may not look beautiful, but they were exceedingly popular with my entire family - in fact we make another batch for tea so that everyone could have 2 more - and it only takes 10 minutes. The sweet recipe we chose to try was Cat's Cookies (page 190) from the Winter section of the book. Beat together the butter and the sugars in a large bowl using a wooden spoon or electric hand-held mixer. Add the egg and vanilla and stir. Then add the flour and mix thoroughly. Finally add the chocolate chips and stir through. The mixture should be sticky and not too stiff. Put the dough in the fridge for 10 minutes to make it easier to work with. Spoon heaped tablespoons of the mixture onto your trays and flatten with your hand or the back of a spoon. 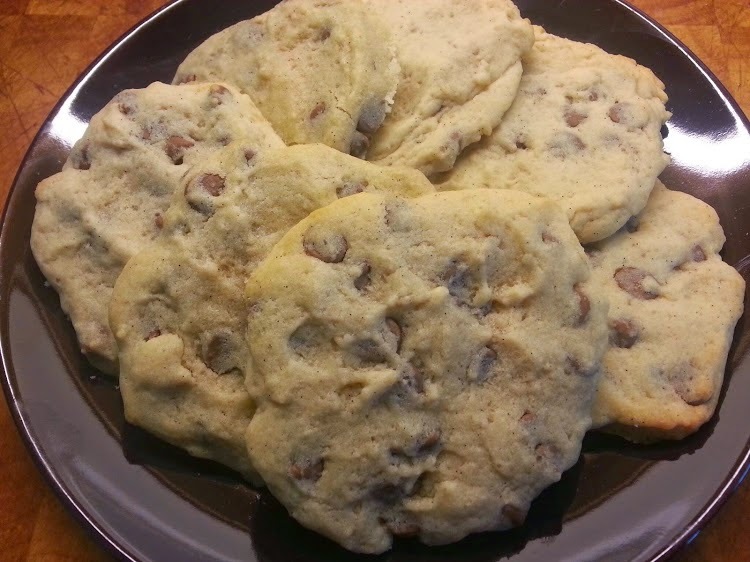 Your cookies will flatten more and spread while they are baking, so leave plenty of room between them. 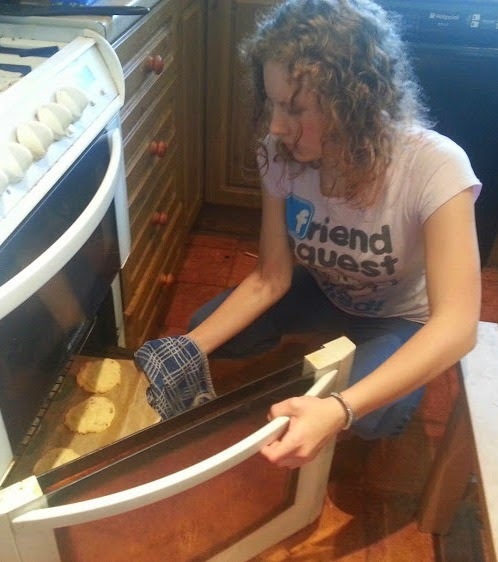 Ask an adult (or teenager) to help you put the cookies into the oven and bake for 8-10 minutes. They will look pale in the middle and golden around the edges. Give the cookies a minute or two on the tray to harden before transferring to a cooling rack. Use a palette knife to move them while they're warm or they'll bend and break. The cookies looked really pale - these were the darkest of ours - but don't be tempted to leave them in the oven any longer because they are cooked just right. They're really tasty, crammed full of chocolate chips and the biscuit itself is just the right levels of chewy, crispy and melt-in-the-mouth. 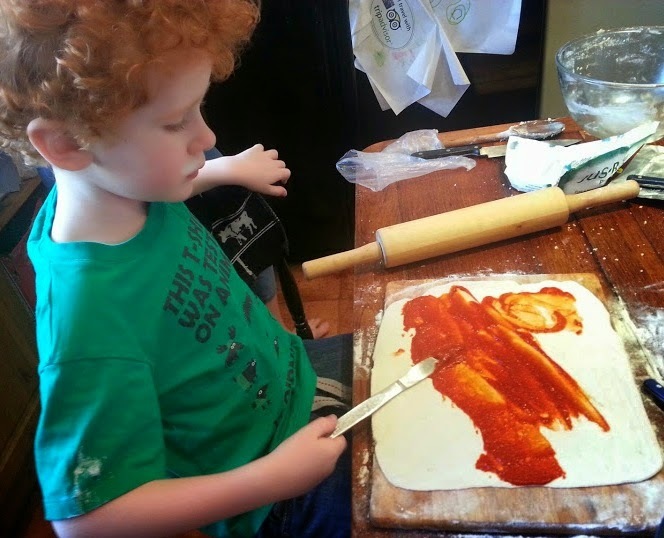 It was incredibly quick for my children to make these recipes following the book themselves, I didn't need to interfere or explain anything - all the information they needed was there. 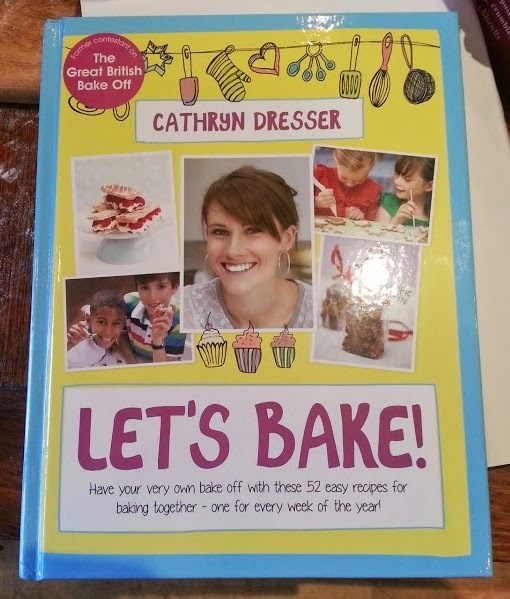 Let's Bake by Cathryn Dresser is published by Orion Books and has a recommended retail price of £12.99. 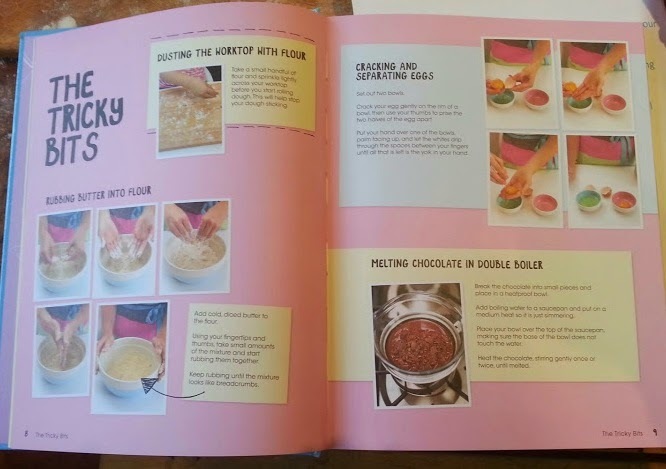 It's a full-colour hardback book with over 220 pages and an absolutely ideal purchase for a new young baker. Highly recommended. 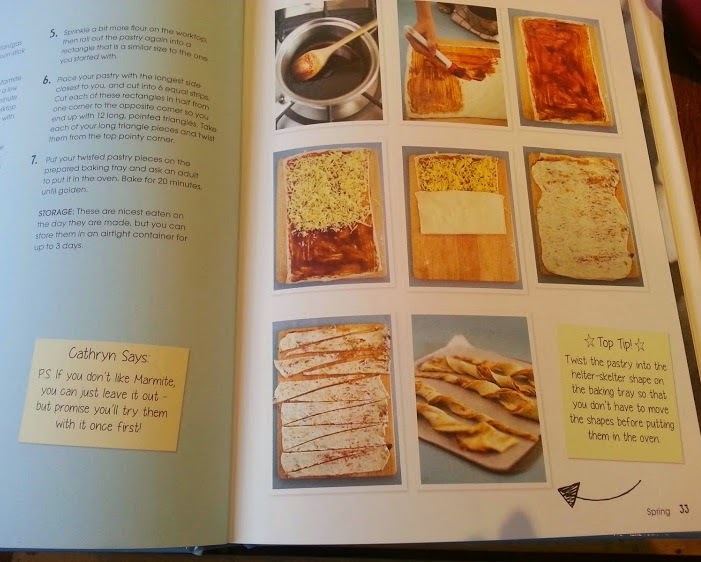 I was sent Cathryn Dresser's 'Let's Bake' by Orion Books for review. We had the book too and cook delicious scones, pitta pocket and bread! The recipe and step by step is so easy to follow. It is really easy to follow, and the choice of recipes is excellent. 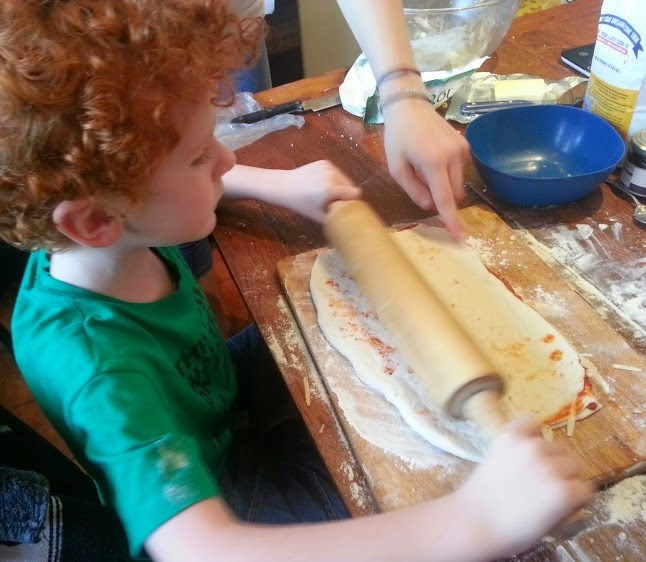 I'm trying pitta pockets soon - yours looked lovely! This book is fabulous for kids to cook with, we have it and Miss M has picked out so many things she wants to bake. Obviously mine need supervision but it is minimal and Miss M can get on with it herself with me just guiding her along the way! We made some amazing brownies!! That looks like a great book. 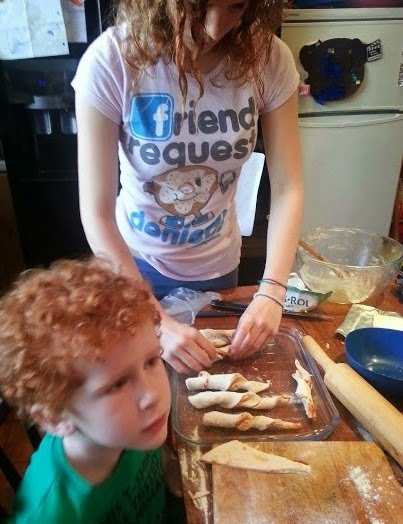 I love cooking with my kids, they would love that. The cookies look yummy. 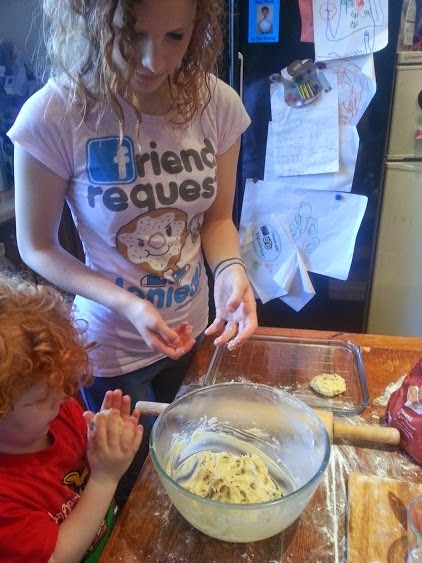 we love making cookies, I would love to make some Helter Skelters.